The Baldwinsville Scrimmage is an annual event that offers an opportunity for a pre-season scrimmage against just one team. It is very casual, and not a formal race. It’s an opportunity to get the girls on the water in a race situation prior to competing in an actual regatta. This event traditionally alternates locations every other year between Syracuse and here in Rochester at GWC. This year it is being held in Syracuse. The host team provides the hospitality, usually breakfast snacks and lunch. This will be a morning drive, race, and then return to GWC and unload later that day. REQUIRED: All Varsity Rowers & Coxswains and Novice Coxswains are required to attend. 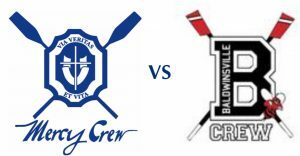 OPTIONAL: Novice rowers have the option to attend as they will not row in the scrimmage due to the Novices having not gotten enough water practice to safely row race pieces at this time. Some rowers will row more than once. 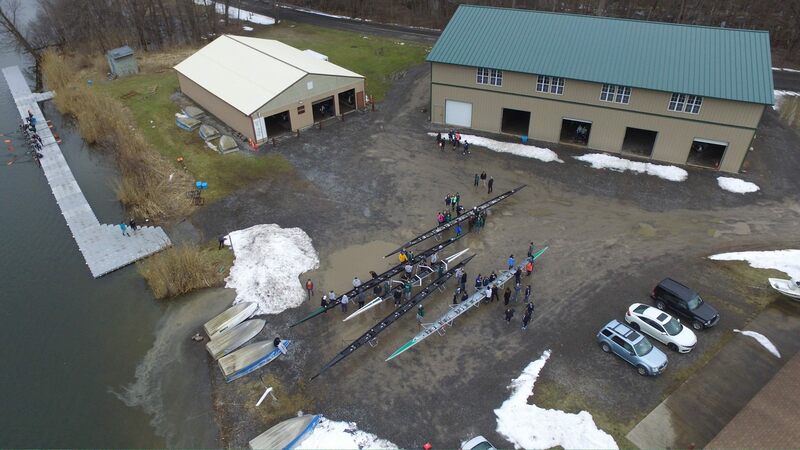 Plan to return to GWC after the scrimmage to unload and re-rig if time and weather allows. The Mercy Crew uni is to be worn during the competition. Be sure to bring crew jacket, navy or black leggings and white mock neck tech shirt to wear under the uni’s if temperatures are cold. Parents are encouraged to wear their fan wear and to bring your cow bells and noise makes to cheer the rowers on. Binoculars might be helpful too. Bring chairs or blankets to lay out to sit to eat lunch. There is ample parking available in the lot off of Long Branch Road. From there you can walk to the end of the road where the boathouse is located. FROM NYS THRUWAY NYS Thruway (Route 90) to exit 38. At traffic light turn left onto Route 57. Heading north on 57, travel about 1 mile to Long Branch Road. Turn left on Long Branch. Follow Long Branch about 2 miles as it crosses Route 370. Ten Eyck Road is on the right just before the old Long Branch Bridge. The boathouse will be at the end of the road. Please contact feel free to contact us with any questions. Next Post:URGENT: RESERVE by 4/10 – NYStates Hotel Reservations for Saratoga 5/10-5/11!